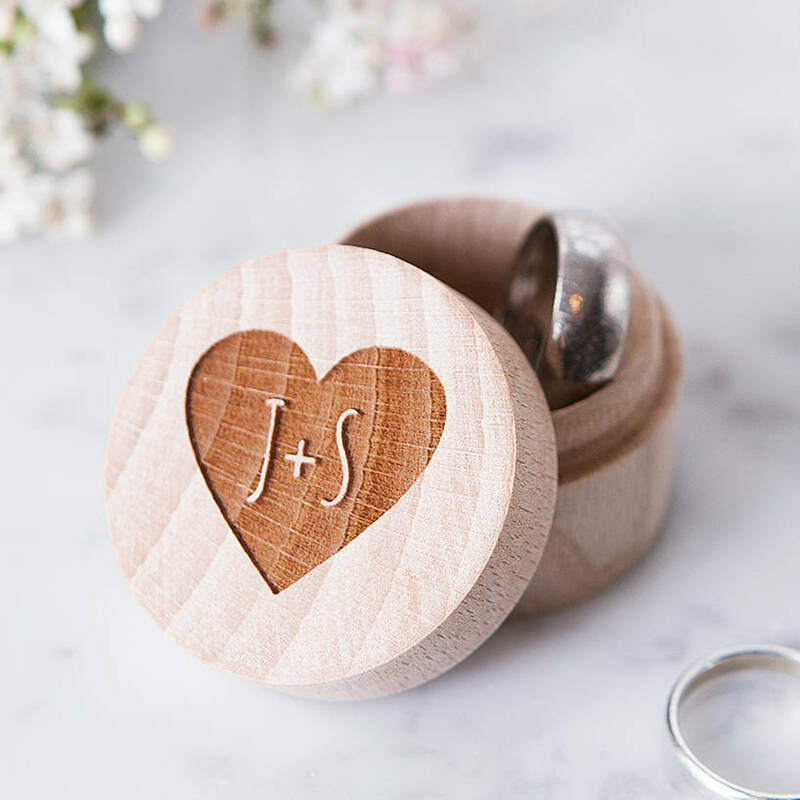 A wonderfully personalised ring box, for storing the all-important precious accessory, on the big day and beyond. 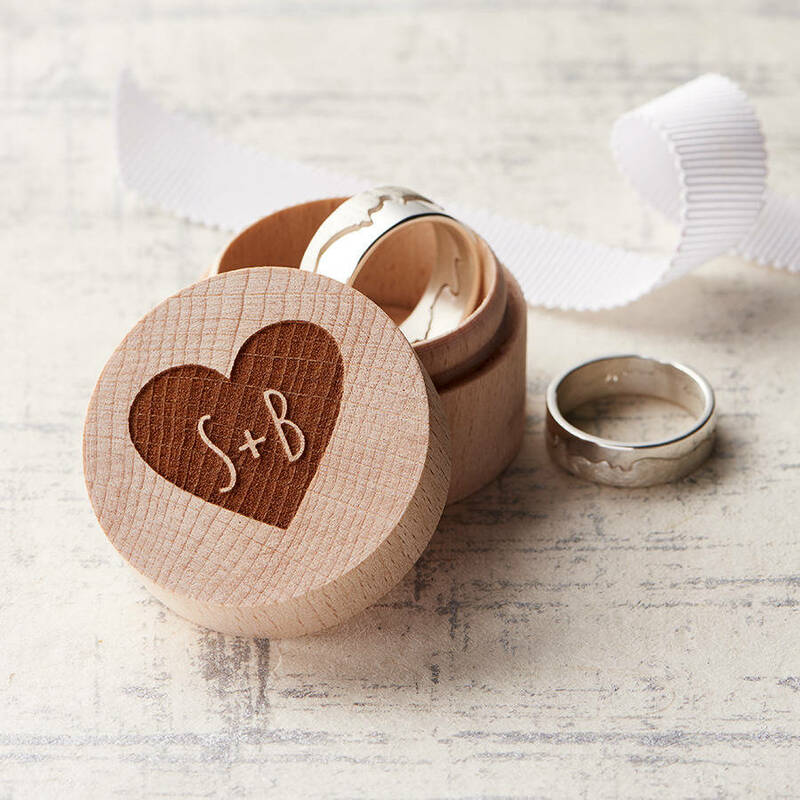 This wooden ring box is hand crafted from solid wood and created just for your occasion, with engraved detail on the circular cover. 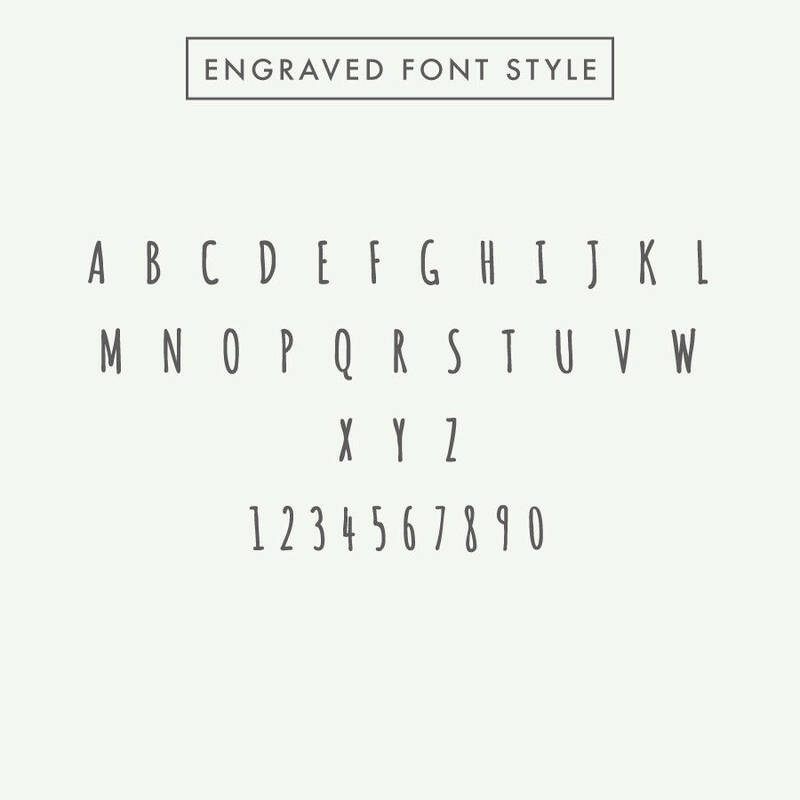 The featured box displays the couples bespoke initials and is ideal as a wedding or engagement gift, keepsake, or accessory for the happy couple to commemorate the start of their journey together. 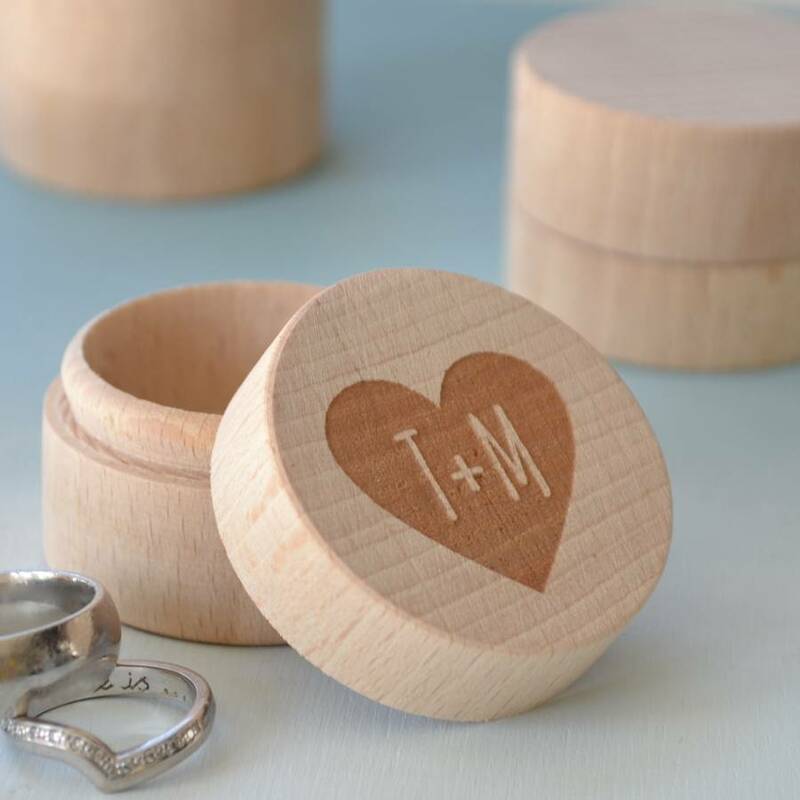 As the base and lid of each ring box are crafted separately, there may be some differences in the shade of wood and within the wood grain between the two. 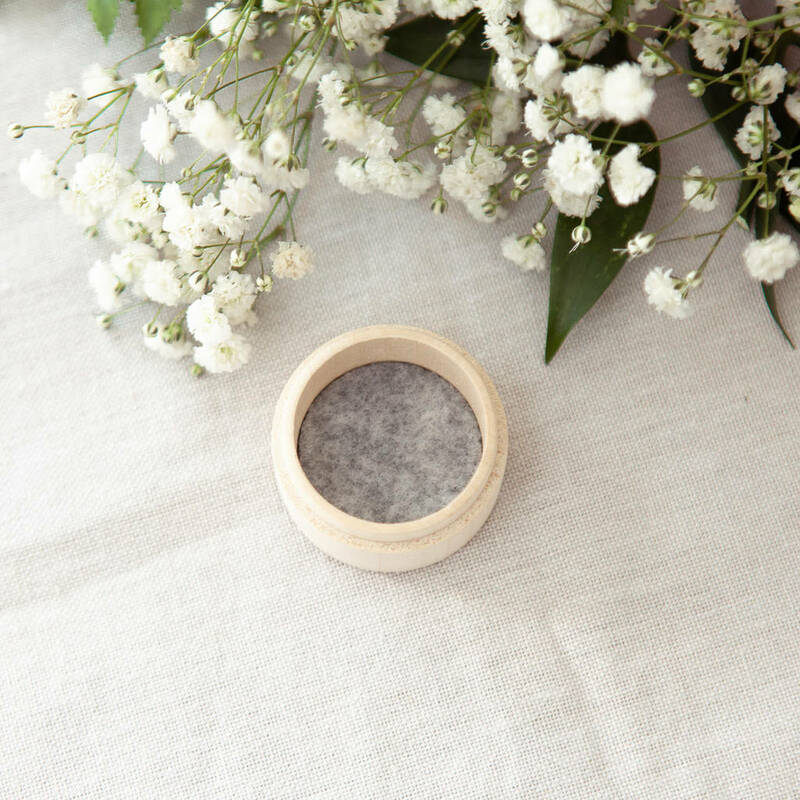 Each Clouds and Currents ring box is lined with a detachable luxury grey felt to protect your wedding bands inside the box. Each personalised wedding ring box is created using solid wood with engraved detail. 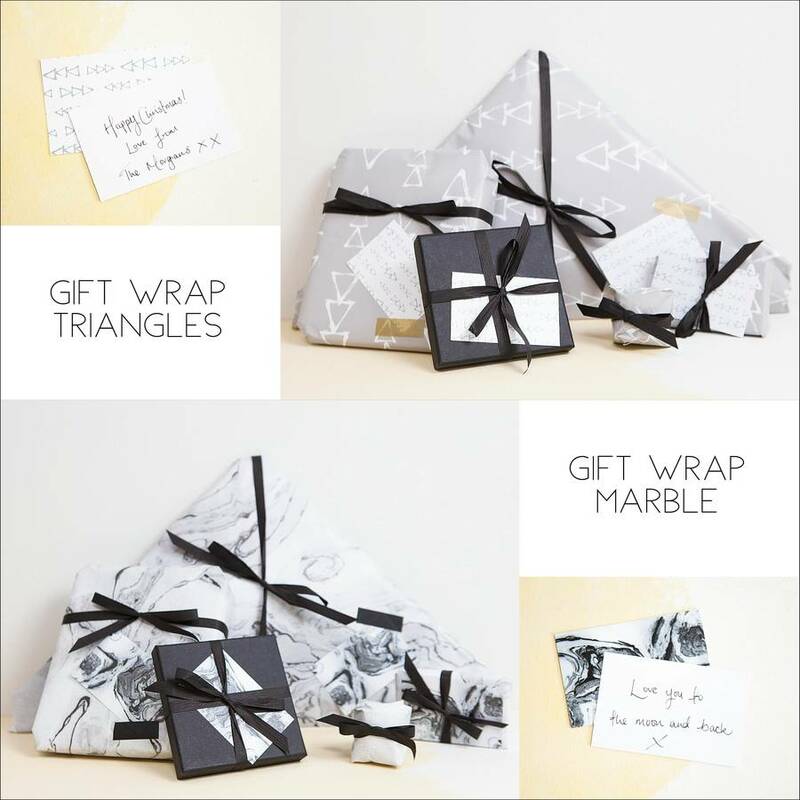 Each box measures 40mm x 40mm. The inner of each box is approx 30mm wide and 20mm high.